GIVEAWAY DAY 4!!!! To celebrate the launch of our new forums we will be having 100 DAYS OF GIVEAWAYS! 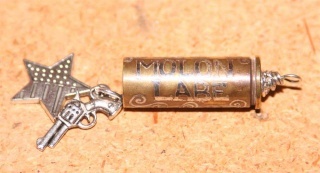 In addition, today’s Giveaway comes from a woman who makes some really beautiful ammo jewelry. Today she has generously donated this GORGEOUS engraved ammo pendant! She has been a long time supporter of Girls of Fire and has participated in several of our Giveaways! Please help me to show Brenda at AmmoArt some Girls of Fire love and express our appreciation to her! 1.Be a fan of and Share our FaceBook page https://www.facebook.com/GirlsOfFire and be of fan of and Share the FaceBook page of today’s giveaway sponsor https://www.facebook.com/pages/AmmoArt/298392450246052?fref=ts . 2. Share the news of our giveaway by posting this link http://girlsoffireusa.forumotion.com/t106-giveaway-day-4#271 in the status on your FaceBook page. 3. Leave a comment on this thread. Good luck everyone and THANK YOU for your congtinued support!!!! Liked liked, shared and told em y'all said howdy!! I LOVE LOVE LOVE this pendant!! What great jewelry! Thanks Girls of Fire and Ammo Art for such great giveaways. Love the ammo jewelry. Shared all on facebook -- hoping I win!!! Back for DAY 4!!! This would look great on my Living Locket!!!! Liked, Shared & THANKS for the 'not just a bumper' sticker! Shared and liked (well, LOVED! Does that count?!) both pages...love her jewelry, very unique! Thanks, Girls, for the Giveaways...fingers crossed! Liked Shared and Love this. The giveaways just keep getting better! 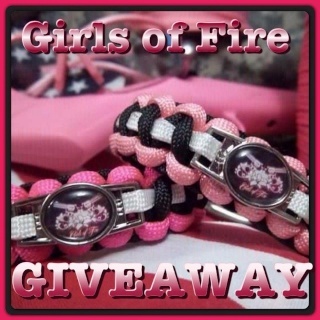 Shared the giveaway, liked & shared the sponsor and always share Girls of Fire! Done!! ❤ Great site Alaska girls rock!